I’m irritated this election because, yet again, there are too many statewide initiatives we are expected to research and know. It’s ridiculous because these are complicated issues and we are not paid to make these types of decisions. That’s why we elect people to do this for us. Though I’m mad about having to do so, I read the entire election guide. In case you haven’t and don’t want to leave your ballot blank, here is my summary and analysis on the propositions for your consideration. I’m voting yes on Prop 30 because I despise Grover Norquist, the D.C.-based lobbyist who asked members of Congress and all state legislators to sign the “no tax” pledge. This one person is a large reason for the gridlock in Sacramento and Washington. If Prop 30 doesn’t pass, our state and all state funded programs will suffer, especially public schools. If our kids do not receive an adequate education, their futures and ours are ruined. I’m voting no on Prop 31 because what this really does is allow local governments (in partnership with influential big businesses and developers) to decide what health, safety and environmental regulations they like and don’t like depending on what would be most financially advantageous to business and the developers. Local governments may feel forced to ignore these safety measures because they need to generate revenue to save funding for local services (police, fire, libraries, parks and community services, etc.). Most importantly, negotiating and passing a state budget is the most important act a state legislator does. By allowing lawmakers to push the budget process to two years allows them to procrastinate. We could be in a doubly worse position financially. This is just another example of the “Man trying to keep us down.” I’m voting NO WAY on Prop 32 because either everyone should have the chance to influence elections or no one should. Big business cannot say they can continue to influence elections but unions cannot. There should be fairness in elections all the way around. This is a very confusing but very deceptive initiative. It is a way for car insurance companies to keep their customer base for fear that consumer insurance rates will rise if carriers are changed. I’m voting no on Prop 33. I’m voting yes on Prop 34 because, the death penalty 1) costs way too much for our state to kill people on Death Row; 2) I expect death penalty opponents to file more cases arguing the way the state kills Death Row inmates is a violation of the Eighth Amendment (cruel and unusual punishment); 3) it is not right that our state uses a medicine intended to save lives as a part of the state’s execution process (and that medicine is in high demand but short supply and is the reason the next person we are supposed to kill is still waiting on Death Row); and of course, some Death Row inmates may actually be innocent. Some also claim the death penalty is not a deterrent to violent crime, making another reason it should be eliminated. But the most important reason voters should support Prop 34 is because we cannot afford to keep inmates on Death Row. This initiative sounds good on paper, but in fact, harms some innocent victims of human trafficking. But the main issue is Prop 35 reads like it was written for someone preparing to run for office with the intent of using it to enhance political credibility. Human trafficking is a very serious issue. Laws to address this issue should be written effectively and never used as a political platform for anyone to take credit. Addressing human trafficking in a responsible manner requires more than an initiative spread around by short sound bites. I’m voting yes on Prop 36 because not all felonies are equal. If a two-strikes felon is convicted of a non-violent felony, perhaps possession of a controlled substance for personal use, the felon will be sentenced to 25 years to life in prison. I am not certain this sentence will teach the felon a lesson about the selfishness of addiction and change his or her ways. Another major reason to consider is the high cost of keeping people in maximum-security prison and creating a factory of prisoners who really belong in rehab. I want to know what foods I consume are genetically modified and what food aren’t. Although some critics feel this initiative does not go far enough; I’d rather know what chemicals I’m ingesting are carcinogenic now rather than wait for the right legislation after a horrible, life-altering diagnosis for me or someone I love. I’m voting yes on Prop 37. Proposition 38 – Tax increase for everyone and increase for public education funding from 40% of the budget to 60%. I’m voting no on Prop 38 despite the California PTA’s endorsement of it. It alters the funding allocation for schools from 40 percent to 60 percent from state revenues and raises taxes for everyone. Only one of the initiatives will be enacted between Props 30 and 38. It will cost more to battle it out in the courts if they are very close. I’m supporting Prop 30. Prop 39 creates a fund for energy efficiency retrofitting for public facilities, energy retrofits and jobs and training in the clean energy and alternative energy sector. Revenues for this fund would be raised by taxes from some multi-state businesses that currently don’t pay their fair share because they cut a midnight deal at the end of the legislative session in Sacramento a few years ago. I’m voting yes on Prop 39 because it creates jobs and training in the alternative energy sector and makes out-of-state businesses pay their fair share. This initiative is a waste of time. The selfish people who put this on the ballot cost the state money for printing, paper, postage, staff time and who knows what else because they didn’t like the districts drawn by the Citizens Redistricting Commission. If you read the election guide, they now say they’re not fighting this initiative. They should pay the state back for putting this on the ballot. Vote yes on Prop 40. Regardless of how you feel on any of these measures, please do your part in exercising democracy and vote in this election. 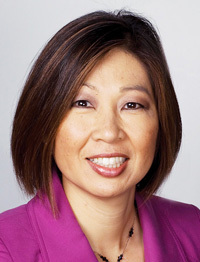 Trisha Murakawa is a strategic communications and public affairs consultant based in Redondo Beach. Opinions expressed in this column are not necessarily those of The Rafu Shimpo.